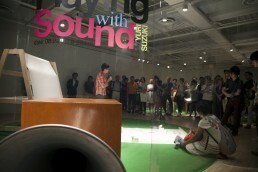 Sound Artist/Designer. 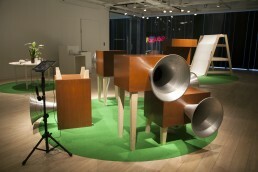 Born in Tokyo, Japan 1980. 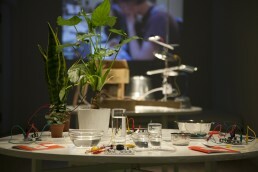 Lives in London. 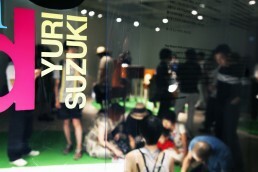 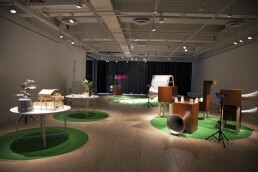 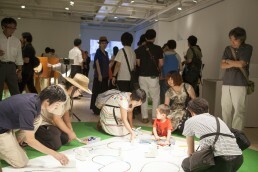 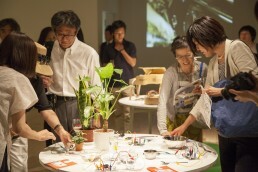 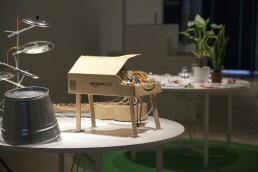 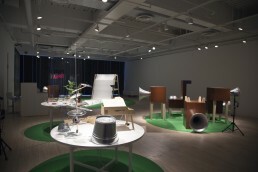 The first solo exhibition in Japan of Yuri Suzuki,an artist/designer based in London. 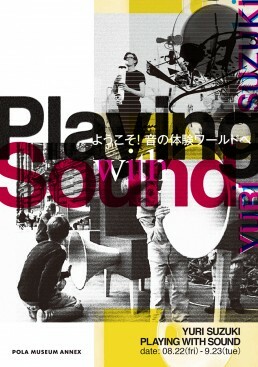 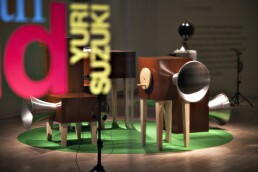 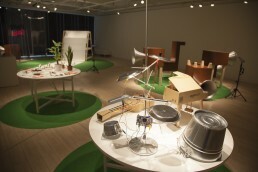 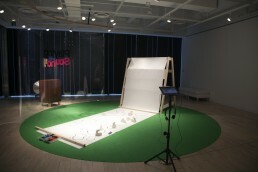 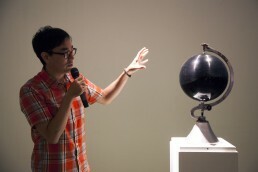 Yuri Suzuki explores the territory of sound and design, by developing devices under the theme of music-human relationship.His works with their hidden Pop-like devices provide enjoyment with unseen sounds and movement mechanisms and allow for discovery of the relationship between sound and people. 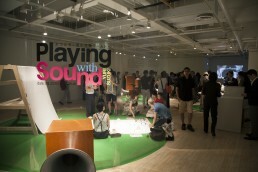 As a experiential world where one can touch the artwork, visitors can actually play the works including Color Chaser and Ototo, which have just been confirmed this year for inclusion into the MoMA collection. 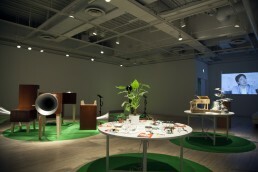 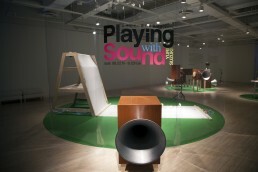 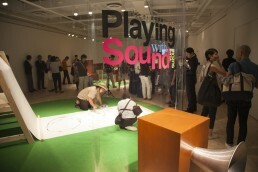 Everyone from children to adults will enjoy this experiential world of sound.